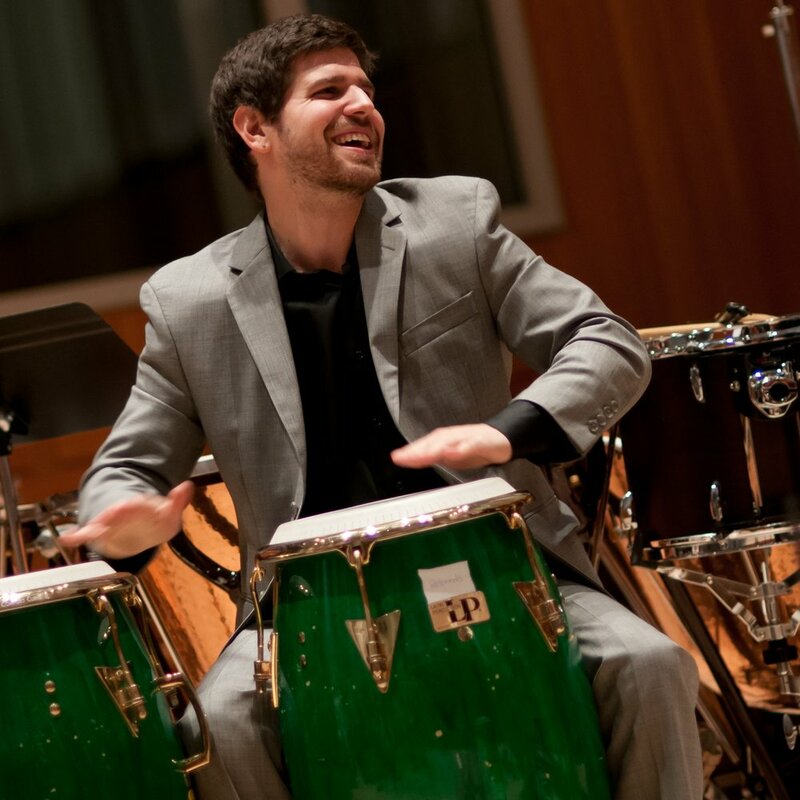 Montreal native Gabriel Globus-Hoenich's is a New York City-based drummer, percussionist, composer and teaching artist whose career reflects a deep love for the worlds of jazz, classical music and world music. Globus-Hoenich performs frequently with some of the top players in Latin music, including John Benitez, Axel Laugart and Luisito Quintero. A busy jazz drummer, Globus-Hoenich has performed with a multitude of jazz greats, and has been featured on drum-set with the Philly Pops, Pittsburgh Symphony Orchestra, Detroit Symphony and Louisville Orchestra, among others. He collaborates frequently with Teddy Abrams and the Sixth Floor Trio, serving as principal percussionist and education director at the trio's chamber music festival, GardenMusic, in South Miami. An active composer and arranger, Globus-Hoenich has written for Achilles Liarmakopolous of the Canadian Brass, Grammy-nominated Tiempo Libre and the Louisville Orchestra. In addition to his work in the orchestral and jazz music worlds, Globus-Hoenich has completed extensive world percussion studies having studied Afro-Brazilian percussion in Salvador, Bahia with Gabi Guedes and Mario Pam, and Cuban percussion with Girardo Piloto, Rociel Riveron and Adonis Panter. Globus-Hoenich continues to work as a teaching artist for the Afro Latin Jazz Alliance, Philadelphia Orchestra, 92nd Street Y, and Marquis Studios. He was formerly a teaching artist with Play On Philly! as well as musician-in-residence at The Please Touch Museum. He is a co-founder of PlasticBand, a community drumming group based in Harlem, New York, and received a Carnegie Hall NeON Arts Grant to build this program. He is a 2008 graduate of the Curtis Institute of Music where he studied with Don Liuzzi and Robert van Sice.